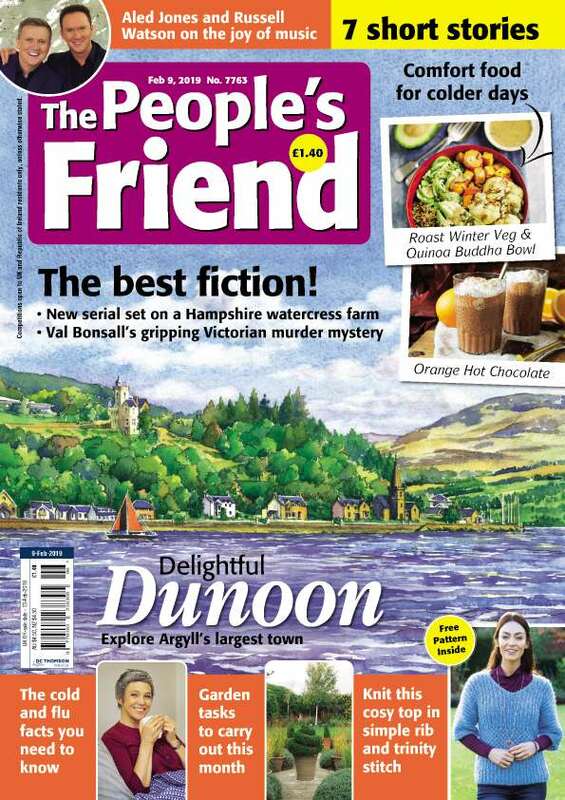 The People’s Friend Magazine, the oldest – and friendliest! – women’s weekly in the world. We are committed to journalism of the highest standards and abide by the Editors’ Code of Practice which is enforced by the Independent Press Standards Organisation (IPSO). If you have a complaint, you can email us at Readerseditor@dcthomson.co.uk or write to the Readers Editor at The People’s Friend, DC Thomson Ltd, Albert Square, Dundee DD1 1DD. It is our policy to publish clarifications and corrections when necessary and as quickly as possible. However, should you wish to take the matter further, you can contact IPSO at Gate House, 1 Farringdon Street, London EC4M 7LG; www.ipso.co.uk or email complaints@ipso.co.uk or call 0300 123 2220.